Halloween is a spooky time but it’s also a time of fun. Here are ten classic comedies that will send a chill up your spine and tickle your funny bone at the same. After scheduling mishap, a group of travelers are stranded at an isolated station, fearing the arrival of legendary phantom train. For whatever reasons, British director Walter Forde remade his own quirky supernatural comedy, based on a theater play, just ten years later. It was mostly a vehicle to showcase the talents of comedian Arthur Askey, whose Chaplin-like antics are definitely the highlight of the movie. The East Side Kids (The Bowery Boys) are stranded in a small rural town camp for boys with a “monster killer” roaming the countryside. If you’ve never seen any of the 40 plus movies starring the East Side Kids a.k.a the Bowery Boys, expect goofiness, hijinks and a bunch of laughs. Horror star Bela Lugosi joins the mayhem, playing a mysterious magician caught up in case of mistaken identity. Mayhem ensues after an insurance investigator arrives at a creepy mansion of a dead millionaire, where his heirs have gathered for the reading of the will. Many contend this movie is just a rip-off of the 1939 “The Cat and the Canary” starring Bob Hope and Paulette Goddard. Filmmakers eventually abandoned the mark and let it slip into public domain. Still, the movie is dark, creepy and stars the very funny Jack Haley and Bela Lugosi, in a small but comedic turn, which was a nice change of pace for the man forever known as Dracula. A radio announcer teams up with an heiress to investigate a haunted castle in Cuba. Audiences loved the pairing of Bob Hope and Paulette Goddard in The Cat and Canary so much, this was the second of three films they would make together. Audiences get a double treat with another hilarious teaming of Bob Hope and Willie Best, who played Hope’s servant. Willie Best, who didn’t get many parts due to extreme racial prejudice in those days, turns in what is considered one of his finest comedic performances. A witch plots to steal the fiance of her neighbor, whom she despises, only to fall in love for real. Although set around Christmastime, a movie about a witch, her crafty familiar and equally supernatural family, causing mischief, seems pretty darn Halloweenish to me. Kim Novak and James Stewart have great chemistry, which helped this romantic comedy become a blockbuster hit. Bewitched creator Sol Saks made no qualms that his show as heavily influenced by Bell Book and Candle, along with the next film on our list. A 17th century witch returns to harass the descendant of her persecutor, during his political campaign. Veronica Lake’s star peaked in this is successful romantic comedy. Men fawned over her and women wanted her haircut. It was no secret that the film’s stars didn’t care much for each other. After March gave an interview basically calling her a brainless sexpot, Lake went on to play cruel pranks on the man for the rest of filming, with many scenes having to be re-shot due to her antics. The film did well at the box office nonetheless, and influenced many other Hollywood films and television, most notably, the aforementioned Bewitched. During WWII, young Jessica, the descendant of a ghost who died after a lifetime of imprisonment for cowardice, tries to free his spirit by getting a long-lost cousin to perform an act of bravery against the Nazis. In this light heartwarming version of Oscar Wilde’s novella, veteran British actor Charles Loughton known mostly for drama, shines as a tortured soul condemned to haunt his family castle forever. He’s joined by child star Margaret O’Brien, who delivers a spunky and mature performance as Jessica and Robert Young, as the charming every-man Cuffy Williams, an American G.I. who learns he’s a long-lost relative of the Canterville family. The screenplay is solid and is as witty as Wilde intended. Loughton, who championed MGM to make the film, displays both perfect comedic timing and the emotional brevity of a man in despair. The film was mostly a joint propaganda film for US and British forces but still a fun ghost flick to watch around Halloweentime. Two goofy freight guys meet Dracula, Frankenstein’s monster and the Wolf Man. Who better to star in a zany horror spoof, starring not one, not two, but three of Universal’s most classic monsters, than Abbott and Costello. Bela Lugosi and Lon Chaney Jr. reprise their roles, but Glenn Strange was cast as the Monster, rather than Boris Karloff, despite the fact that Karloff helped out with publicity for the movie. Some say it was because Karloff didn’t like Abbott and Costello, or he didn’t like playing the Monster for laughs, but later comedies that Karloff starred in (some with Abbott and Costello) proved both points false. It was a mysterious move that neither Universal or Karloff ever explained. The movie was big hit nonetheless, and in 2001, it was selected for preservation in the National Film Registry. A young widow realizes her seaside cottage is haunted by a rough seafaring captain, but eventually forms a touching friendship with the grouchy ghost. This is my favorite movie on the list. Based on a novel that had only been published in the UK at the time, the story is simply magical. Gene Tierney is wonderful as the fiery, independent Lucy Muir and has perfect chemistry with Rex Harrison’s hearty, roguish Captain Gregg. Although, the story is set on an English seaside, the movie was filmed in California by the incredible Charles Lang, who earned an an Oscar nomination for the cinematography. The music was conducted by the fabulous Bernard Herrmann, who even admitted to lifting melodies from his own stage opera rendition of Wuthering Heights for the score. The secondary characters are endearing or captivating and help move the story along. This movie might not exactly spell Halloween, but it’s a romantic ghost story, filled with humor and heartbreak, and just perfect for this time of year. On Halloween day, a newspaper man, Mortimer Brewster, brings his new bride home to meet his two favorite aunts, only to discover they’ve been killing men and burying the bodies in the cemetery next door, with the help of an insane uncle, who believes he’s Teddy Roosevelt. Director Frank Capra’s hilariously dark madcap comedy based on the Broadway stage play keeps audiences on their toes and is a perfect blend of dark mystery and kooky comedy. The make-up for Raymond Massey, who plays Brewster’s creepy murderous brother Jonathan, was purposely designed to resemble Frankenstein’s monster. Coincidentally, Boris Karloff played Jonathon in the stage version of Arsenic and Old Lace, but a contract dispute with producers, kept him out of the film. Despite popularity of the movie, Cary Grant hated his performance, saying the acting and story were ridiculous and blamed Frank Capra’s constant goading to push the comedy further. Most fans think the over-the-top zaniness is all just part of the movie’s charm. 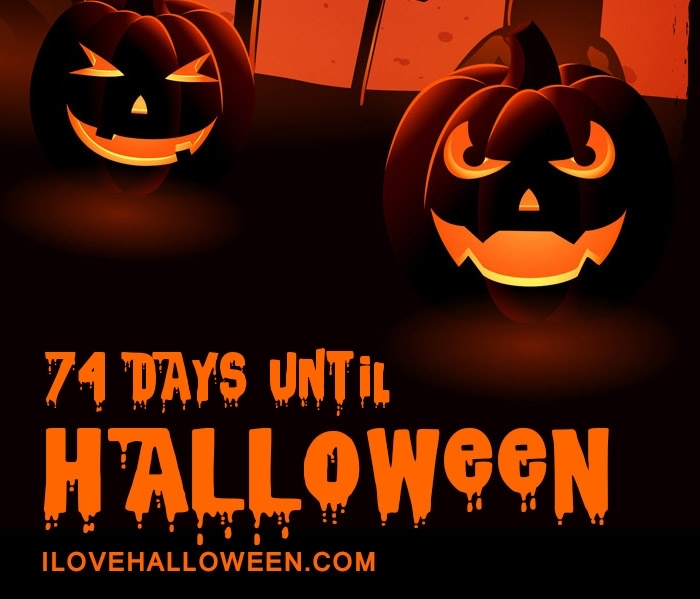 Posted on October 11, 2018 October 14, 2018 by halloweenkristy9Posted in Halloween, Halloween Community, Holiday, Movies, VintageTagged Classic Movies, fun, Funny, Halloween, Movies, spooky.